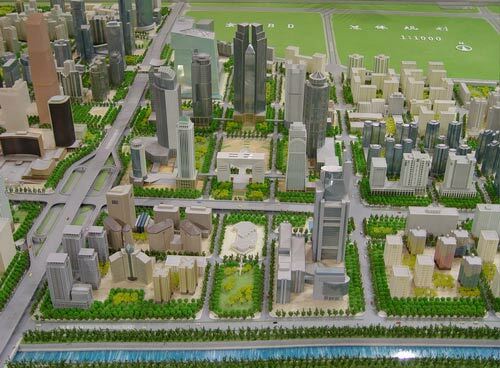 redevelop central Beijing with innovative and functional architecture, while preserving historic buildings at the same time. Last edited by Þróndeimr; March 21st, 2009 at 10:55 AM. Updated 17th august 2005. Dig forward in this thread to see more construction images. Last edited by Þróndeimr; December 7th, 2005 at 04:04 PM. one of the coolest project u/c!! .. imo. Very creative architecture! I love it! Well, i don't actually know. But i guess its still in an early construction period, but it will probably rise fast when they are finish with the ground construction. 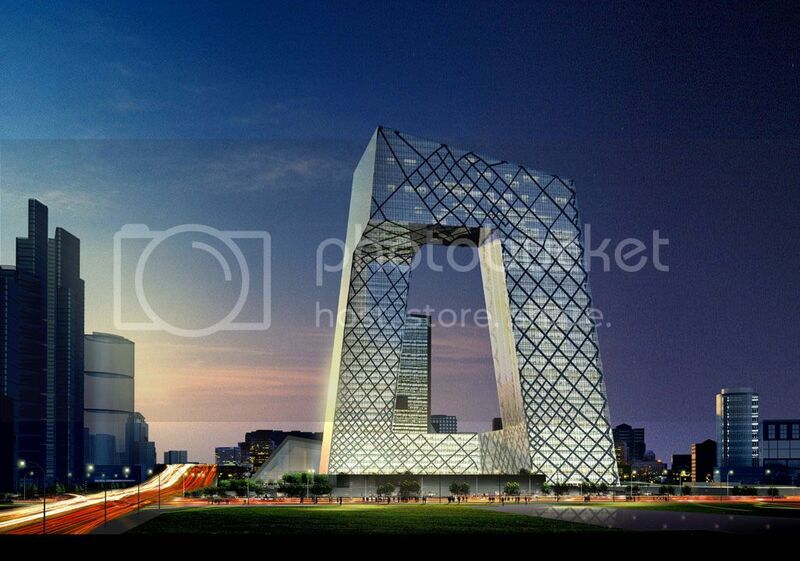 i thought the design was changed because it's too costly, beijing citizens are not happy. any better site photos or is it difficult to access? Yeah, best looking highrise ever, IMO. 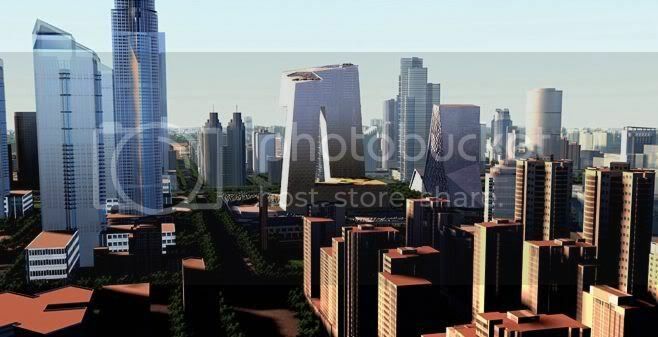 Just have one question, what's the name of the building on the left of the bottom render and what is it for? 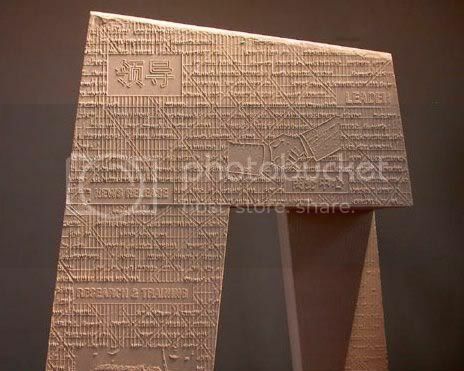 Its part of the complex as well, but has a different purpose. To my best knowledge its desigend by Koolhaas as well, but has more of a media function as opposed to the other building which is more like an office-building. I love this building and at a height of 750ft like I saw somewhere is a great height for a building like this. Wow. Amazing building. Cannot wait to see it completed. 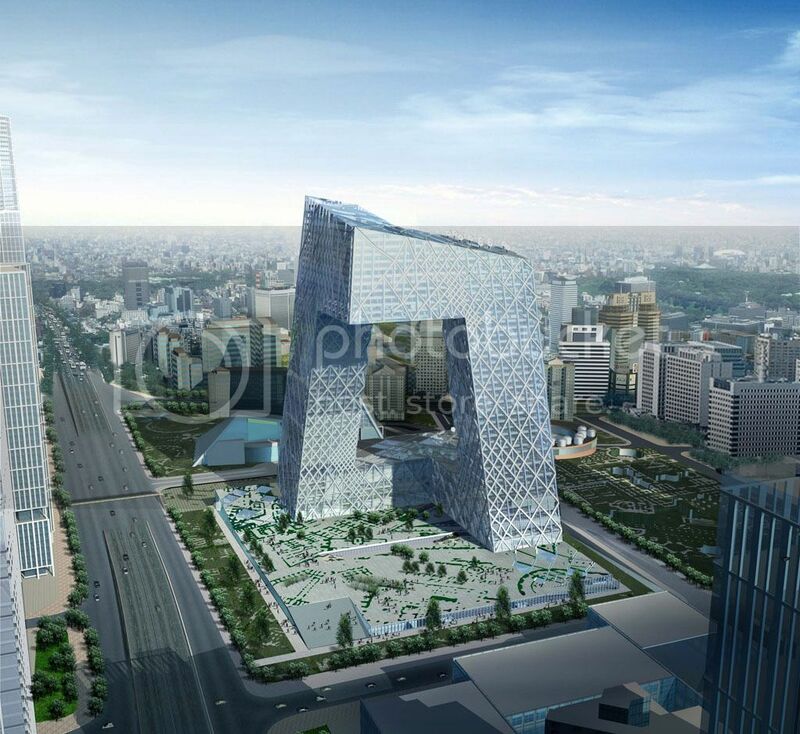 Does anyone have a map of Beijing with the location of CCTV on it? The construction started back in September. Construction workers are working under groundlevel at the moment, digging away sand, to make way for the fundaments and an underground shelter (which is apparently a standard procedure in China for new buildings). The situation about two weeks ago was around 10 stories or 35 meters deep. Thanks, i remember it when you say it. But when was the main building supose to start rising? I'm not sure if they started construction on both buildings, or which building my description applies to. I got this information from a report by a local radio station. 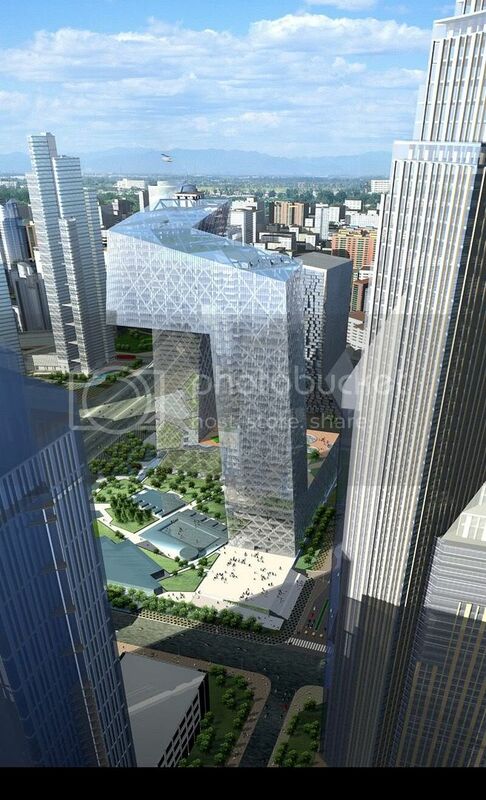 I have no clue when the main building will be visible from the groundlevel. 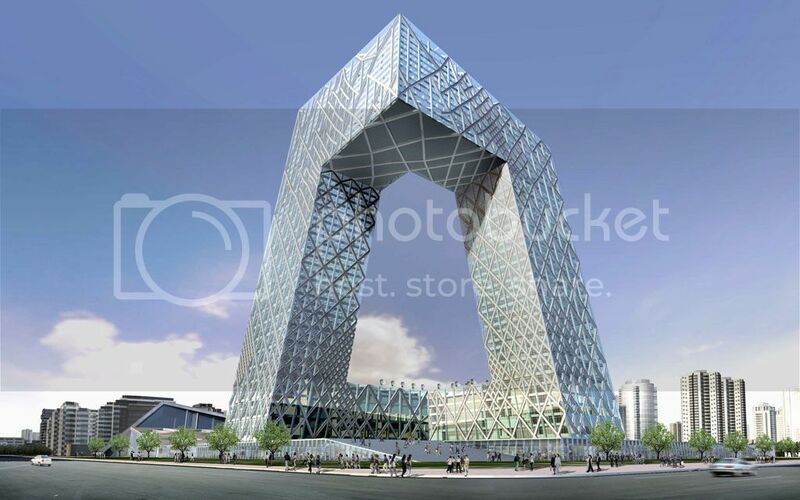 The new CCTV complex is in Beijing's CBD. 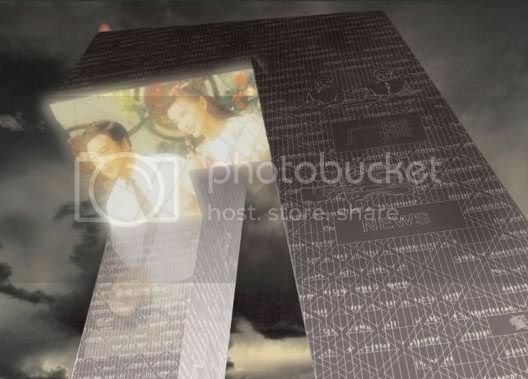 Above is the old CCTV building. It was built in 1987 and will be in use until completion of the new complex. The name of the building is Television Cultural Center (TVCC). 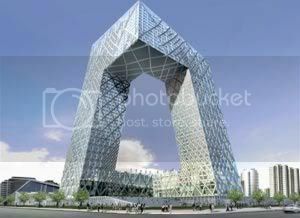 It's part of the CCTV complex. 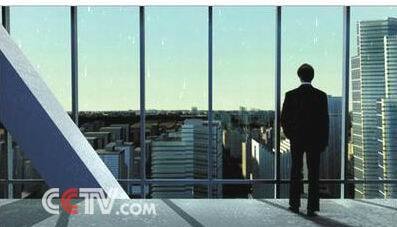 Its main body will be a five-star hotel, and TVCC itself will be located in the apron part. 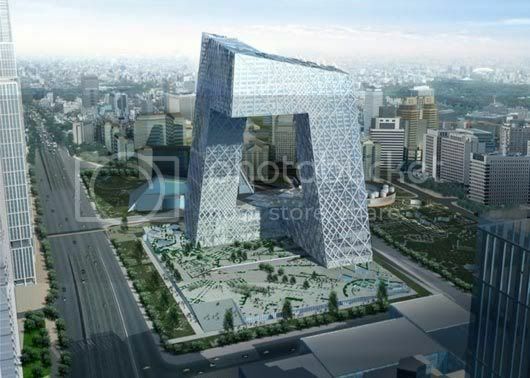 CCTV's new 553,000 m2 headquarters will be among the first of 300 towers to be constructed in Beijing's new Central Business District. 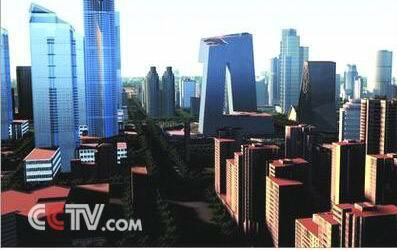 The total construction cost is estimated at 600 Million Euro. 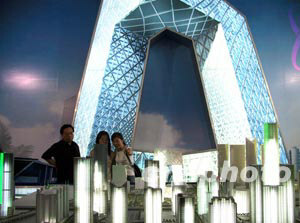 The project will be completed for the Beijing Olympics in 2008. 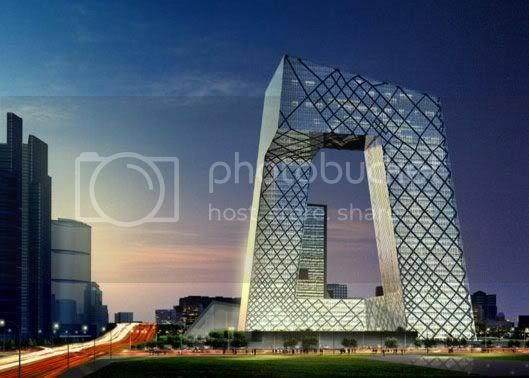 The new CCTV headquarters, at a height of 230m and a floor area of 405,000m2, combines administration with news, broadcasting, studios and program production - the entire process of TV making - in a sequence of interconnected activities. 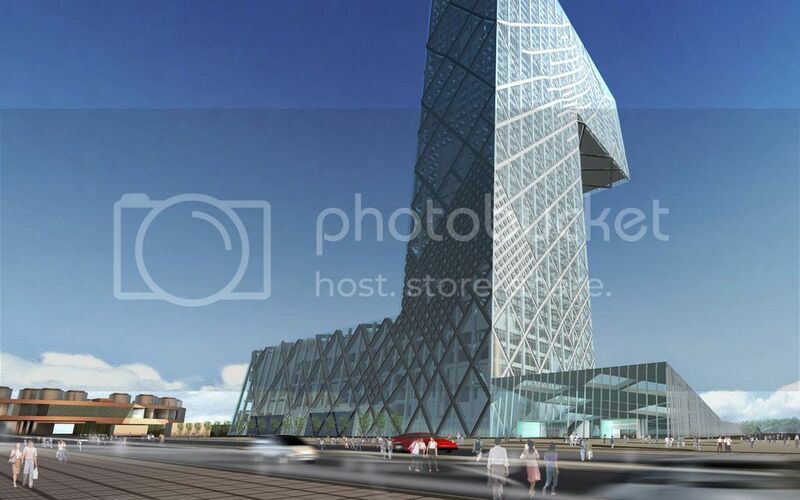 Although the building is 230 meter tall it is not a traditional tower, but a continuous loop of horizontal and vertical sections that establish an urban site rather than point to the sky. 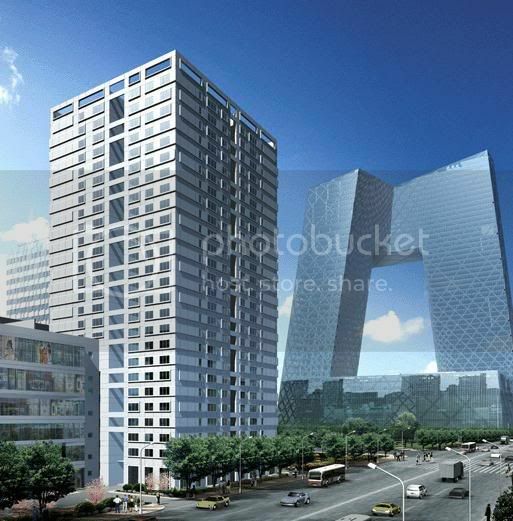 The irregular grid on the building's facades is an expression of the forces traveling throughout its structure. 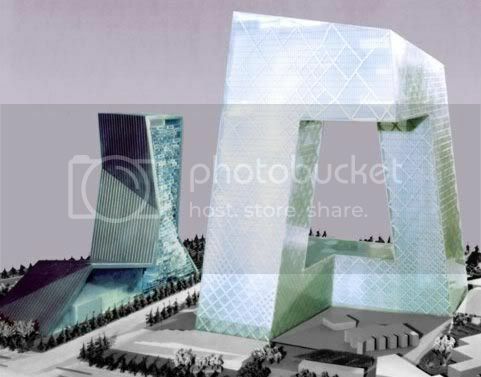 The second building, the 116,000 m2 Television Cultural Center (TVCC) includes a hotel, a visitor's center, a large public theatre and exhibition spaces. 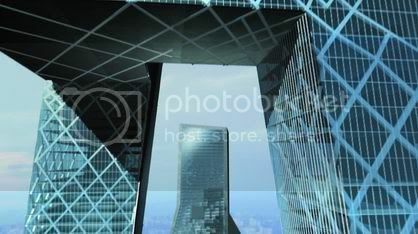 It is visible from the main intersection of the Central Business District through the ‘window' of the CCTV headquarters. 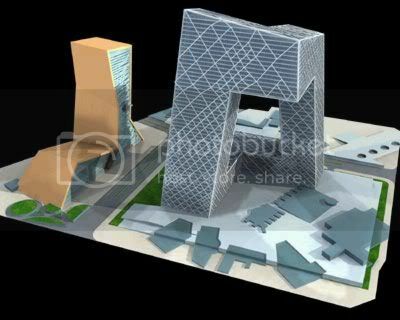 The CCTV Headquarters will be realized in collaboration with ECADI, the East China Architecture & Design Institute from Shanghai. 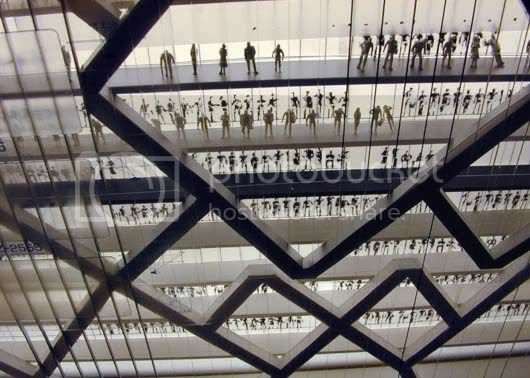 Cecil Balmond and his team of Ove Arup & Partners will be responsible for the structural and mechanical engineering. OMA will collaborate with its media and research branch AMO. Last edited by 10025; February 15th, 2005 at 04:59 AM. 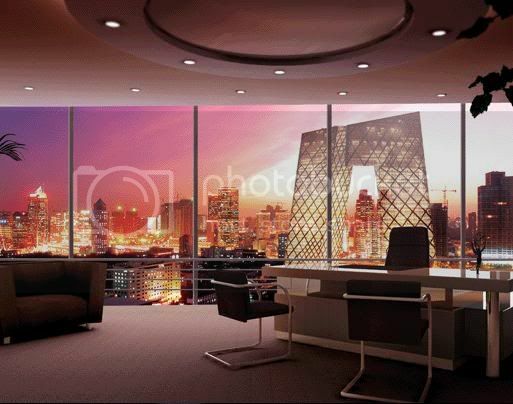 Bejing looks cooler than Washington D.C. I've been searching around, and have found several articles which is really concerning.